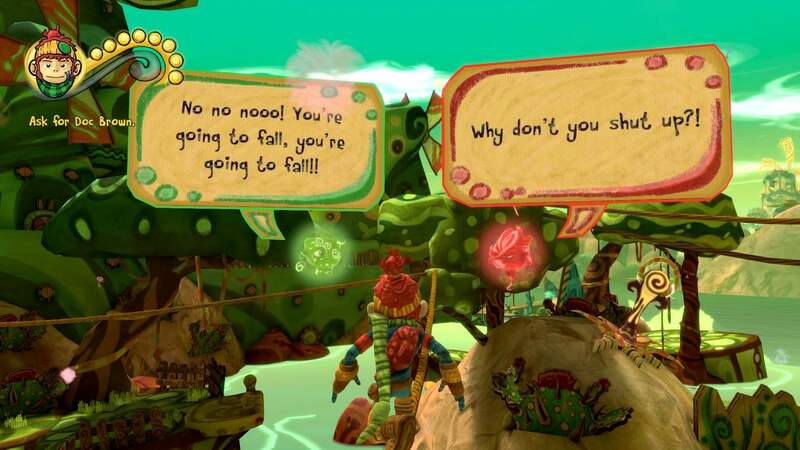 There was a time in the late 90s or early 2000s when The Last Tinker: City of Colors would've been a blockbuster game. 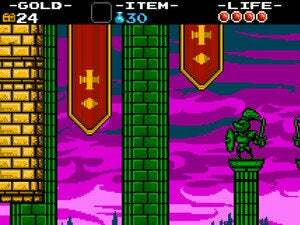 It was a time when mascot-driven platformers ruled consoles. Super Mario 64, Banjo-Kazooie, Rayman, Beyond Good & Evil, Crash Bandicoot, Jak and Daxter—they were everywhere. And The Last Tinker, with its vaguely human protagonist and colorful claymation art style, would've been quite a spectacle. 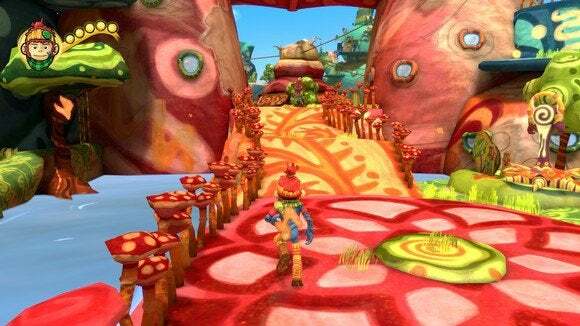 The 3D platformer boom times are gone, but all that really means is that The Last Tinker hasn't gotten the attention it deserves. And it deserves quite a bit of attention, because this is a great (if simple) game. 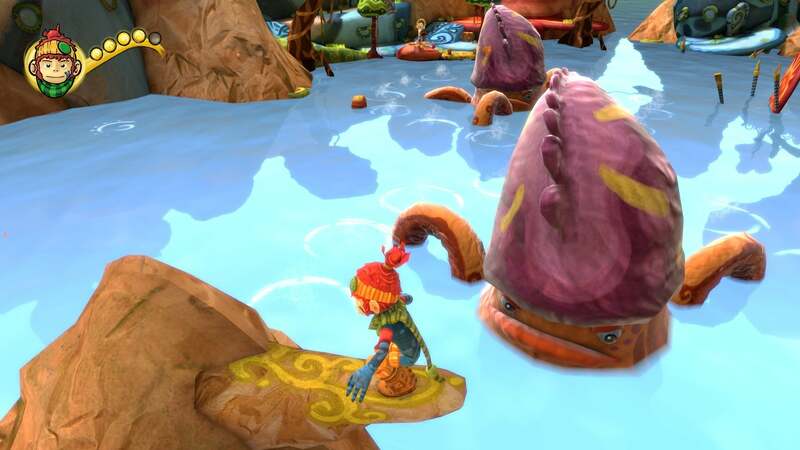 The Last Tinker looks like a kid's game, and it could be a kid's game. It's definitely pretty simple as far as "platformers" go. In fact, I almost hate to strap that genre onto it because it's not really a platformer. Jumping occurs more like Assassin's Creed's free-running or Zelda's auto-jump—there's no dedicated button for it. You just sort of reach the end of a platform and then leap off it onto the next one, or fall off if there's nothing waiting. This lends itself to very fluid, fast-paced animations and some clever grinding sections reminiscent of Jet Set Radio or some of the 3D Sonic games, but it also makes the game damn simple. If you're coming to this expecting the challenge of even Mario 64 (not a terribly hard game) then you're going to be disappointed. There are also a handful of easy puzzles to break up the pacing, but if you're at all familiar with games they won't exactly leave you scratching your head. But The Last Tinker sort of lulls you into a rhythm that's pleasant, if not difficult, and it ends up feeling like a miniature version of some bigger games. Combat even has a Batman: Arkham Asylum flow to it that I never would've expected, and there are the expected tributes to classic platformers—objects that explode into currency when hit, collectible hidden in corners, and a silent-but-still-somehow-emotive main character. 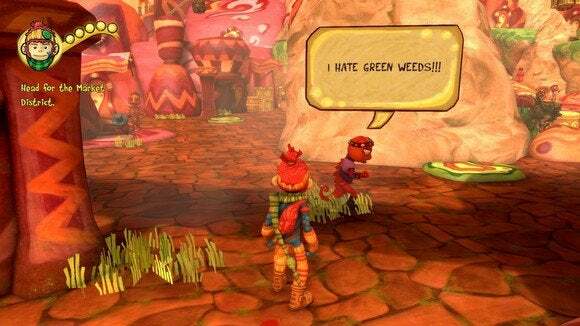 You play as the titular last of the Tinkers, Koru, a monkey-boy who lives in the multi-hued city of Colortown. Or at least, parts of it are multi-hued—the parts that aren't infested by a bunch of racists. Yeah, it's not exactly the most complex story, nor the most veiled of analogies. It's basically a kid's game, after all. The way it's all presented is charming though, with the different segments of the city featuring decidedly different vibes. The Reds are angry and warmongering so their district is all fire and spears, for instance, while the fearful Greens have covered every available surface in security cameras. And I mean presented in the physical sense also. Colortown, and Tinkerworld in general, is a place built from craft materials. It's paper, glue, cardboard, and paint. When people "talk" in their gibberish language, the words are written in chalk on floating cardboard speech bubbles. You're basically playing through a claymation film, like a technicolor version of Chicken Run. The aesthetic is definitely pulling most of the weight in this game, with charming octopuses and a sun that goes to sleep at night to become the moon and even a Bob Ross reference. The soundtrack is similarly spectacular, with different themes for each area and a few music-based areas that take full advantage of the wonderful orchestration. My favorite was a twangy guitar theme, but all of the tracks are solid. If you're tired of browns and greys, the drab color palette of most modern games, this is the perfect antidote to gently glide through over the course of a few nights. The Last Tinker's not difficult for an adult who's reasonably familiar with games, but I can't deny I enjoyed playing it. Yes, I wish it was a real platformer instead of an auto-jump game, and I think the final boss needed tuning (or at least some checkpoints). This is one to toss on the shelf for the kids though, and then pull down late at night after they've gone to bed because damn it, you want to play too. 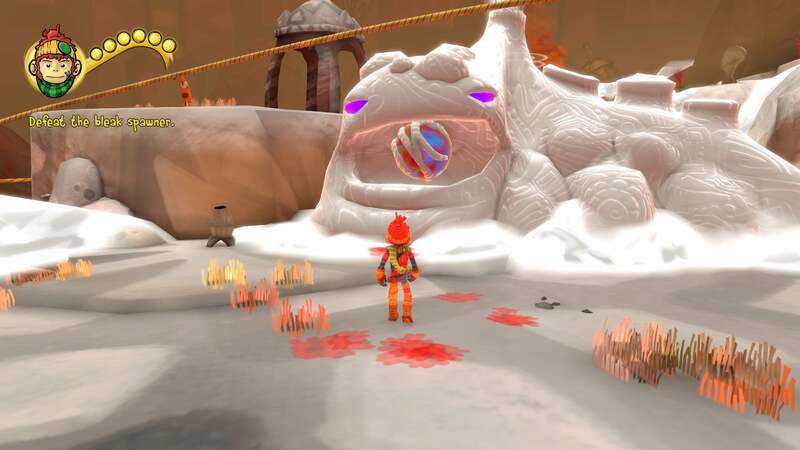 The Last Tinker looks like claymation, plays like a simple platformer, and is perfect to enjoy with the family (or by yourself).